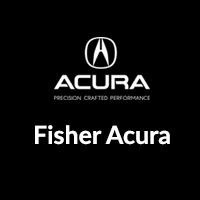 At Fisher Acura, you’ll find a full Acura lineup of affordable priced luxury sport sedans and SUVs near Thornton, but the price of a car doesn’t tell you how much you’re going to have to pay every month. That’s where our monthly car payment calculator comes in handy. Figure out how much you can expect to pay on your monthly car payment here, and then apply for financing at our dealership in Boulder. Now that you’ve used our auto loan payment calculator to see how much you can expect to pay each for your car payment, make your way from Arvada to Fisher Acura in Boulder to take a test drive in the model of your choice. And for some great deals, make sure to check out our current Acura vehicle specials. Our staff is here to help you out Monday through Saturday, and you can reach us directly at (303) 245-6418.